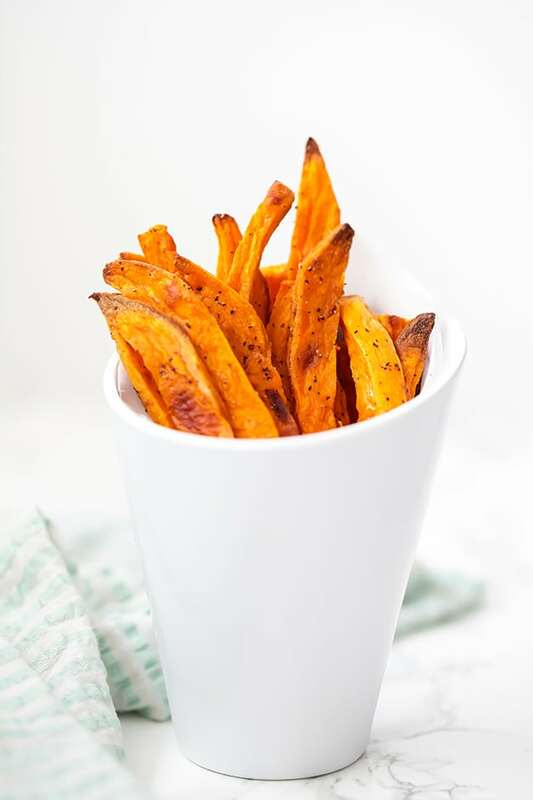 These baked sweet potato fries are the perfect side dish! Easy, delicious, and cooked to perfection. 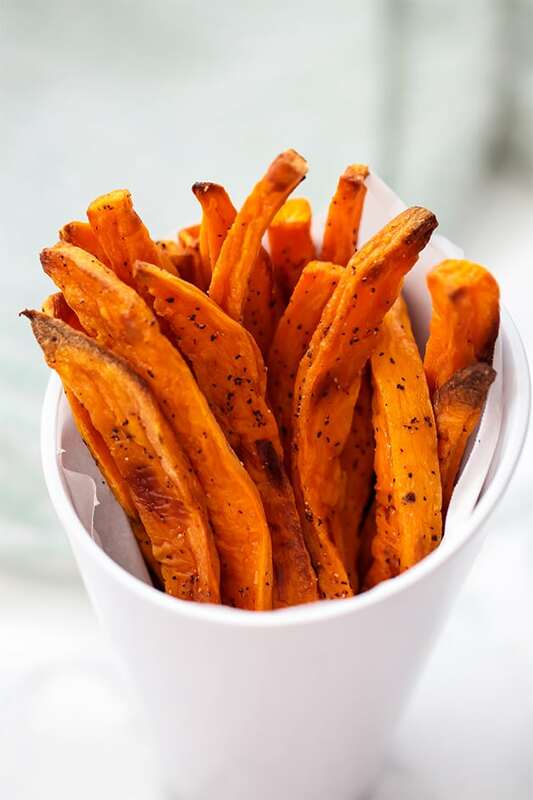 Sweet potato fries are such a staple for a real food diet! Even before I started eating a more allergen free diet, I ate sweet potato fries regularly. I grew up with my mom calling them “healthy french fries”, and once I moved out and started cooking for myself, I would buy the bagged frozen fries and call it a day. What I didn’t realize was they were filled with extra junky ingredients that just weren’t necessary. Learning to make homemade baked sweet potato fries was a total game changer! Making homemade dishes takes more effort than just buying a bag of frozen, but it’s so much healthier and more gratifying! And when it’s as easy as this, it’s a total win. These fries are paleo, Whole30, AIP, and can be made vegan if you switch out the ghee with avocado oil (as laid out in the recipe). They’re kid friendly, budget friendly, and total crowd pleasers! I love using ghee for sweet potato fries. Ghee is clarified butter, so those with dairy issues can often tolerate it. However, if you’re AIP, skip the ghee and go with avocado oil. These seasonings are very customization. You can bump them up or down, or omit any altogether. It’s just for flavoring. Omit the black pepper for AIP. Scrub the sweet potatoes well to remove any impurities. Using a sharp kitchen knife, slice the sweet potatoes into fries about 1/4″ inch thick, or to your desired thickness. Lay out the fries on the baking sheet and toss with melted ghee (or avocado oil for AIP) and seasonings until evenly coated. Bake in the oven for 25-35 minutes, flipping once or twice, or until sweet potatoes reach desired crispness. Allow to slightly cool, then serve and enjoy! Baking time will vary depending on your oven and the thickness of your fries. Be sure to keep an eye on them! !